Nebuchadnezzar’s Dream 2 1 In the second year of the reign of Nebuchadnezzar, Nebuchadnezzar had dreams; h his spirit was troubled, and i his sleep left him. 2 Then the king commanded that d the magicians, e the enchanters, the j sorcerers, and k the Chaldeans be summoned to tell the king his dreams. So they came in and l stood before the king. 3 And the king said to them, “I had a dream, and h my spirit is troubled to know the dream.” 4 Then k the Chaldeans said to the king in Aramaic, 1 m “O king, live forever! Tell your servants the dream, and we will show the interpretation.” 5 The king answered and said to k the Chaldeans, “The word from me is firm: if you do not make known to me the dream and its interpretation, you shall be n torn limb from limb, n and your o houses shall be laid in ruins. 6 But if you show the dream and its interpretation, p you shall receive from me gifts and rewards and great honor. q Therefore show me the dream and its interpretation.” 7 They answered a second time and said, “Let the king tell his servants the dream, and we will show its interpretation.” 8 The king answered and said, “I know with certainty that you are trying to r gain time, because you see that the word from me is firm— 9 if you do not make the dream known to me, s there is but one sentence for you. You have agreed to speak lying and corrupt words before me till t the times change. u Therefore tell me the dream, and I shall know that you can show me its interpretation.” 10 v The Chaldeans answered the king and said, “There is not a man on earth who can meet the king’s demand, for no great and powerful king has asked such a thing of any magician or enchanter or v Chaldean. 11 The thing that the king asks is difficult, and no one can show it to the king except w the gods, whose dwelling is not with flesh.” 12 Because of this the king was angry and x very furious, and y commanded that all z the wise men of Babylon be destroyed. 13 So the decree went out, and the wise men were about to be killed; and they sought a Daniel and his companions, to kill them. 14 Then Daniel replied with prudence and discretion to b Arioch, the c captain of the king’s guard, who had gone out to kill the wise men of Babylon. 15 He declared 1 to Arioch, the king’s captain, “Why is the decree of the king d so urgent?” Then Arioch made the matter known to Daniel. 16 And Daniel went in and requested the king to appoint him a time, that he might show the interpretation to the king. God Reveals Nebuchadnezzar’s Dream 17 Then Daniel went to his house and made the matter known to e Hananiah, e Mishael, and e Azariah, his companions, 18 f and told them to seek mercy from the g God of heaven concerning this mystery, so that Daniel and his companions might not h be destroyed with the rest of the wise men of Babylon. 19 Then the mystery was revealed to Daniel in i a vision of the night. Then Daniel j blessed the g God of heaven. 20 Daniel answered and said: k “Blessed be the name of God forever and ever, l to whom belong wisdom and might. 21 m He changes times and seasons; n he removes kings and sets up kings; o he gives wisdom to the wise o and knowledge to those who have understanding; 22 p he reveals deep and hidden things; p he knows what is in the darkness, q and the light dwells with him. 23 To you, O r God of my fathers, s I give thanks and praise, for t you have given me wisdom and might, and have now made known to me what u we asked of you, for you have made known to us the king’s matter.” 24 Therefore Daniel went in to v Arioch, whom the king had appointed to destroy the wise men of Babylon. He went and said thus to him: “Do not destroy the wise men of Babylon; bring me in before the king, and I will show the king the interpretation.” 25 Then v Arioch brought in Daniel before the king w in haste and said thus to him: “I have found x among the exiles from Judah a man who will make known to the king the interpretation.” 26 The king declared to Daniel, y whose name was Belteshazzar, z “Are you able to make known to me the dream that I have seen and its interpretation?” 27 Daniel answered the king and said, “No wise men, a enchanters, a magicians, or b astrologers can show to the king the mystery that the king has asked, 28 but c there is a God in heaven who reveals mysteries, and he has made known to King Nebuchadnezzar d what will be in the latter days. Your dream and e the visions of your head as you lay in bed are these: 29 To you, O king, as you lay in bed came thoughts of what would be after this, f and he who reveals mysteries made known to you what is to be. 30 But g as for me, this mystery has been revealed to me, not because of any wisdom that I have more than all the living, but in order that the interpretation may be made known to the king, and that h you may know the thoughts of your mind. Daniel Interprets the Dream 31 “You saw, O king, and behold, a great image. This image, mighty and of exceeding brightness, stood before you, and its appearance was frightening. 32 i The head of this image was of fine gold, j its chest and arms of silver, its middle and j thighs of bronze, 33 k its legs of iron, its feet partly of iron and partly of clay. 34 As you looked, a stone was cut out l by no human hand, and it struck the image on its feet of iron and clay, and m broke them in pieces. 35 Then the iron, the clay, the bronze, the silver, and the gold, all together were broken in pieces, and became n like the chaff of the summer threshing floors; and the wind carried them away, so that o not a trace of them could be found. But the stone that struck the image became p a great mountain q and filled the whole earth. 36 “This was the dream. Now we will tell the king its interpretation. 37 You, O king, r the king of kings, to whom s the God of heaven t has given the kingdom, the power, and the might, and the glory, 38 and into whose hand he has given, wherever they dwell, the children of man, u the beasts of the field, and the birds of the heavens, making you rule over them all—you are v the head of gold. 39 w Another kingdom inferior to you shall arise after you, and yet a third kingdom v of bronze, x which shall rule over all the earth. 40 And y there shall be a fourth kingdom, strong as iron, because iron z breaks to pieces and shatters all things. And like iron that crushes, it shall z break and crush all these. 41 And as you saw a the feet and toes, partly of potter’s clay and partly of iron, it shall be a divided kingdom, but some of the y firmness of iron shall be in it, just as you saw iron mixed with the soft clay. 42 And as the toes of the feet were partly iron and partly clay, so the kingdom shall be partly strong and partly brittle. 43 As you saw the iron mixed with soft clay, so they will mix with one another in marriage, 1 but they will not hold together, just as iron does not mix with clay. 44 And in the days of those kings b the God of heaven will set up c a kingdom that shall never be destroyed, nor shall the kingdom be left to another people. d It shall break in pieces all these kingdoms and bring them to an end, and c it shall stand forever, 45 just as e you saw that f a stone was cut from a mountain by no human hand, and that d it broke in pieces the iron, the bronze, the clay, the silver, and the gold. A g great God has made known to the king what shall be after this. The dream is certain, and its interpretation sure.” Daniel Is Promoted 46 Then King Nebuchadnezzar h fell upon his face and i paid homage to Daniel, and commanded that j an offering and k incense be offered up to him. 47 The king answered and said to Daniel, “Truly, your l God is God of gods and m Lord of kings, and n a revealer of mysteries, for you have been able to reveal this mystery.” 48 Then the king gave Daniel high honors and many great o gifts, and made him ruler over the whole p province of Babylon and q chief prefect over all the wise men of Babylon. 49 Daniel made a request of the king, and he r appointed s Shadrach, Meshach, and Abednego over the affairs of p the province of Babylon. But Daniel t remained at the king’s court. God reveals deep and hidden things Introduction Nightmares. Lots of fear; a fearful dream and Neb is fearful. He makes his men fearful. ch2 begins with 'and'. It is intrinsically linked to chapter 1, not least of all the interpretation of dreams. Backdrop: big preoccupation with dreams in Babylon, from what we know. cf v7: Illustration of cryptographic key; Neb has a dream but wants double de-cryption. They must tell the dream as well as decrypt it. Crowd of words for 'make known', 'reveal', 'show' etc. Hence v28 gives key theme: there is a God in heaven who reveals mysteries Significance of Aramaic - all the world and its nations. 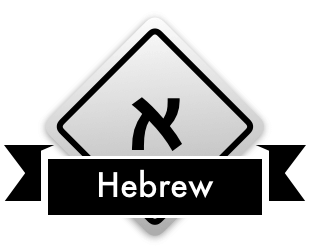 Hebrew - specific to God's covenant people. 1. Nebuchadnezzar was terrified because he can't understand his dream, v1-13 Did he forget his dream, and wake up so terrified he needed to be reminded of what it was, and its interpretation? Why was he so terrified? Was it since he'd seen a glimpse of the loss of everything he had worked for? Maybe he had spotted their phoney-ness, and thus insists they prove their trade by telling the dream itself (he hadn't forgotten it). 'chaldean' here refers to a Babylonian priest-scholar. Neb calls on the whole intellectual community. v9 'you have agreed to speak corrupt words before me...until that time'. Is he getting super paranoid that they are playing him, until the date of his removal? In any case, his rationale is there in v9b; he wants them to provide the dream, so that he can really be sure of the interpretation. Cryptographic key. The paranoia fits with v12 - so quickly ordering them all to be killed. v10-11 a confession of the failure of paganism. A religious cul-de-sac. It can give no sure word from outside! [unfounded optimism cf internet, artificial intelligence, blockchain, etc]. Chance, uncertainty, unpredictability. Therefore, darkened. 'How to live in a world we can't understand' is as good as it gets. 2. God made the dream and its meaning known to Daniel, v14-30 Arioch, possibly 'chief of the executioners' v16 Daniel acts in faith; he doesn't yet know the interpretation. v17-18 prayer meeting, and v19 answered prayer, and v20ff praise. Ordinary and extraordinary means. v20-23 is the theological centre of the chapter - not Neb's echo of it in v47. v28 the 'confession' before the ruler It doesn't mean he reveals everything, or everything we want, or everything to the same degree. Clarify the doctrine of perspicuity/clarity of Scripture. 3. God tells his plan: he will establish an everlasting Kingdom, v31-49 Babylonians; Persians/Medes; Greeks; Romans v39 is emphatic in Ar. 'after you'. cf The might of 20th century regimes, all now unravelled. Lenin, Stalin, Mao. v43 mix with one another by the seed of men v35 the stone filled the whole earth - cf matthew 13 mustard seed. But, correct false postmillennial conclusions. And in the days of the Romans God will set up a kingdom that shall never be destroyed. It shall bring the other kingdoms to an end? Neb - responds to the ability to reveal but doesn't seem to ask the right questions. What will happen in the future? Who is your God, Daniel? How can I get right with him? We shouldn't take snippets about kings like Neb or Constantine as normative. You need to respond to what you have heard. Note downward trend of the kingdoms - made of less precious materials, and are harder. Plus, second is called 'inferior'. So you can't conclude that God is working an upward trajectory through the kingdoms of this earth until suddenly we all realise we're in the kingdom of God. Optimism is false. Unless its optimism in the indestructible Kingdom of God. Matthew 13. Wheat and tares; or, end of the age and angels casting out. Realism regards the world, optimism regards the kingdom. NB ways of getting this wrong. Post mil is optimistic about the world, and actually pessimistic or dismissive of the church. Key question: what is your ultimate hope? The new creation, or some 'christianised' version of this current age. Point is that the Kingdom of God wins, not that it christianises all the others. In any case, texts like 'all kings will come and bow down before you' actually require a future resurrection age - since most kings died not having done just that. Final proof [like plotting points on a graph to see the actual trajectory] is the book of Acts. There there is certainty that the Kingdom has been established, and is being proclaimed, and that we are in the golden age now in a real if incomplete way. Acts 4 applies Psalm 2 etc. And the OT prophetic hopes of the golden age are applied as current. So the point is the unstoppable kingdom in the midst of the opposition, not still awaiting some golden age. Acts 15 quoting Amos 9. Kingdom of God is...Indestructible, final, overwhelming, supernatural...and paradoxical. No human hands etc. Jesus is that stone; born of the virgin, conceived by the Holy Spirit. Filled the earth - it didn't become the earth. Same point with the mustard tree filling the heavens. Or yeast, etc. This is the actual case with the church today; more filling still to do. Gospel centre Glory of God: v20-23 he knows everything and reveal mysteries FCF: Our megalomaniac flesh that is utterly terrified at loss of control; grasping at fleeting things. In blatant ways or Christian ways. Suffering reveals it. Person of Jesus: he is the mystery of God, he makes known the deep things of God [cf parables] Work of Jesus: Ecce homo. Here is the King and his kingdom, cut by no human hands. Enthroned on the cursed kingdom tree. His fame filling the earth. In him: an agent of his unstoppable kingdom. Cathedral building. Local and global. Conclusion This passage speaks to our fears. Look at worldly powers and say, with Jesus in John 19.11 'you would have no authority over me unless it had been given you from above.' Note how chapter ends. Daniel and his friends didn't withdraw from earthly kingdoms, while they awaited the establishment of God's kingdom; rather they poured themselves into working for the welfare of their local place, their exile home. Through Daniel (Abraham's seed), God brings blessing to all the people.